When kids get home after school, they are often ravenously hungry. School-age children may not need to eat as frequently as they did when they were toddlers, but they are growing children who still need snacks. But just because you need to feed them fast doesn’t mean you have to sacrifice healthy eating. Here are some healthy snack ideas and tips for back to school and all-year-round. Take advantage of their hunger. 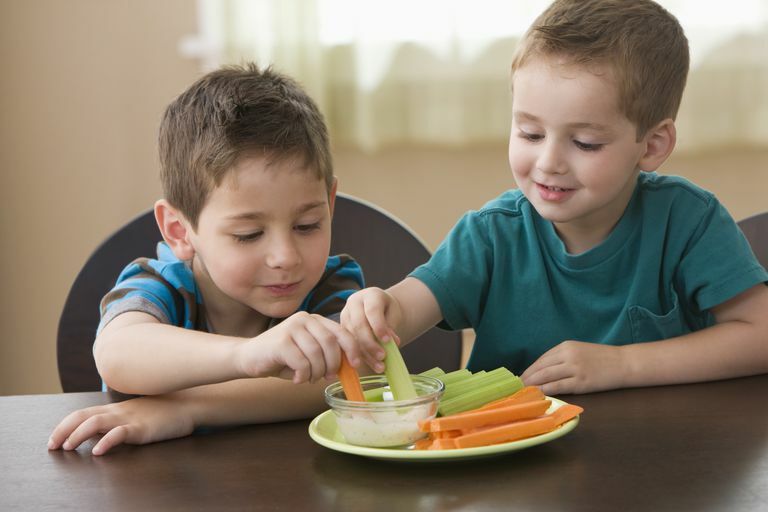 Since kids are often hungry after school, try to fit in some fruit and vegetables, which many kids do not get enough servings of, says Sarah Krieger, a registered dietitian, and spokesperson for the American Dietetic Association. Healthy snacks are important for the brain as well as the body. Before children sit down to do their homework, having a healthy snack can provide some much-needed fuel for the brain. Think balance. When making snacks, think carbohydrates and protein, which provide a steady stream of energy, says Amy Jamieson-Petonic, a registered dietitian, and spokesperson for the American Dietetic Association. Offer only a small snack before a workout. If your child is headed to a soccer match, Taekwondo class, or other physically demanding after-school activity, give him just a small snack (2 or 3 whole-grain crackers or a few grapes) until after the activity. The reason: The body will be in digestion mode rather than exercise mode if they eat too much. “After you eat, your body is focused on using energy to break down food, rather than getting the energy to the muscles,” says Jamieson-Petonic. Don’t let your child overdo snacks after school. It takes your brain about 20 minutes to tell your body that you’re full, says Jamieson-Petonic. If your child eats too much after school, she won’t be hungry for dinner. Slow down the snacking. Try giving your child snacks that will take longer to eat, such as edamame and whole fruits, says Krieger. That will prevent your child from eating too much at snack time. If possible, reverse snack and dinner for kids. If your kids are simply too hungry after school for a small snack, then try giving kids dinner early, say at 4 o'clock, suggests Krieger. If one or both parents work, kids can then have a snack when their parents eat so that they can have that all-important family meal. Shop for healthy snacks together. Go grocery shopping with your child and let him pick out some items for after-school snacks. When you let kids get involved in shopping and meal preparation, they are more likely to want to eat the food, says Jamieson-Petonic.